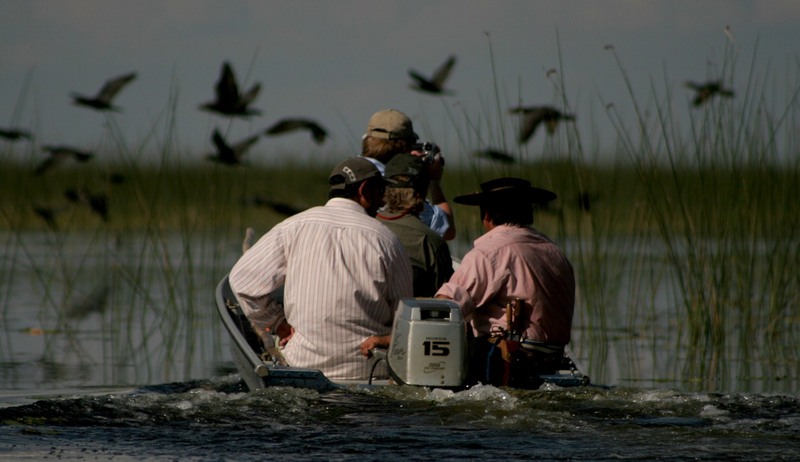 The best of all worlds – a spectacular Argentinean tour taking in vibrant Buenos Aires, the amazing Iguazu Falls, the wildlife-rich Valdes Peninsula and Ushuaia, followed by a classic Antarctic Peninsula adventure. 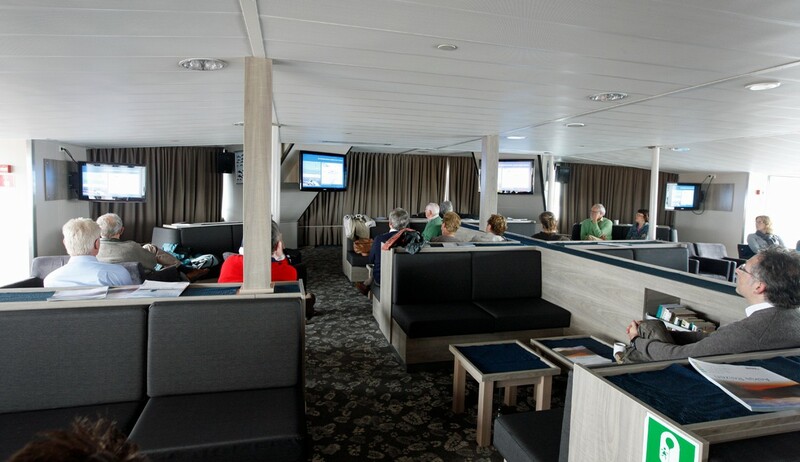 Actual itineraries will vary according to conditions, but there will be zodiac excursions and landings, amazing birds, whales and other wildlife and magnificent icebergs and scenery. Please note: prices are based on two persons sharing twin accommodation and are subject to change due to currency fluctuations and other factors. Speak to someone who’s been to Antarctica, Argentina. Start planning your tailor-made trip by calling one of our friendly destination specialists on 0800 195 3385 or 44 1625 581143 for outside the UK. Day 20 | Disembark, Transfer to Ushuaia Airport for flight to Buenos Aries and your independent return flight home. Arrive and transfer from airport to your city centre hotel. Take a three-hour walking tour with private guide of the historic and elegant Recoleta area of the city, including a visit to the famous cemetery, resting place of Eva Peron. 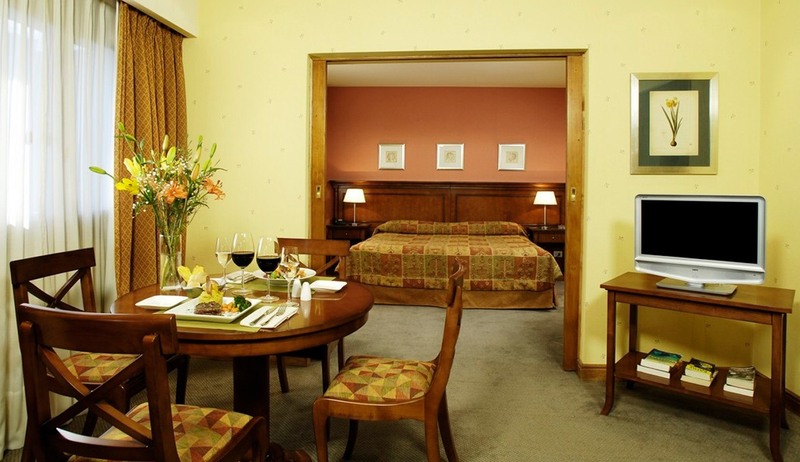 Two nights at LOI Suites, Recoleta Area. Bed & breakfast, Junior Studio Room. Breakfast (included), followed by half day sightseeing tour, including the colourful Boca district. Eat tonight at a typical tango show and restaurant (included). Breakfast (included), then transfer to the domestic airport for flight to Iguazu Falls. Arrive and transfer to hotel. One of the most impressive series of falls, Iguazu straddle the borders of Argentina, Brazil and Paraguay and are best viewed from more than one side. You will have the opportunity to see them from above and below. 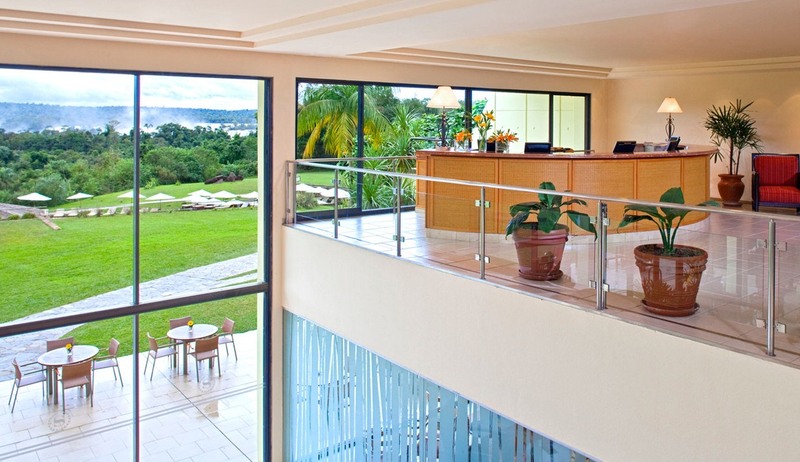 Two Nights at The Sheraton Spa Resort, Iguazu Falls, bed & breakfast basis, Jungle view room. Breakfast included. Walk to the main viewpoint over the Falls, then board and open 4WD truck for a ride through the rainforest to embark on a boat for a trip to the bottom of the falls themselves. Catwalks take you back to the hotel. Afternoon excursion to the Brazilian side for a different perspective. 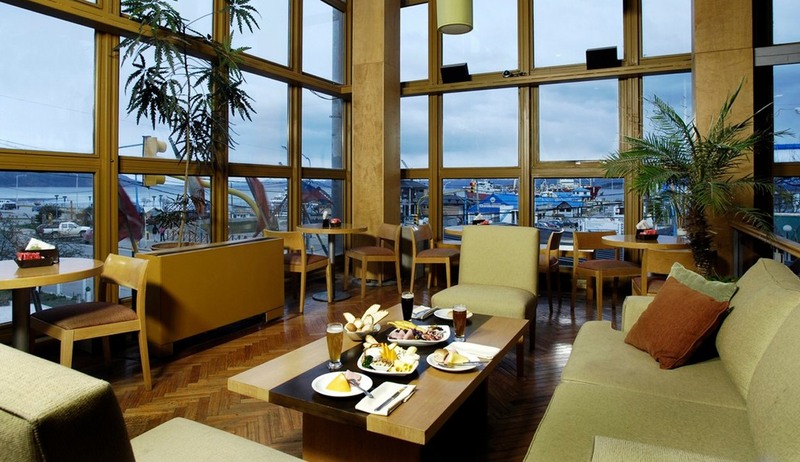 After breakfast, transfer to the airport for flights via Buenos Aires to Trelew. 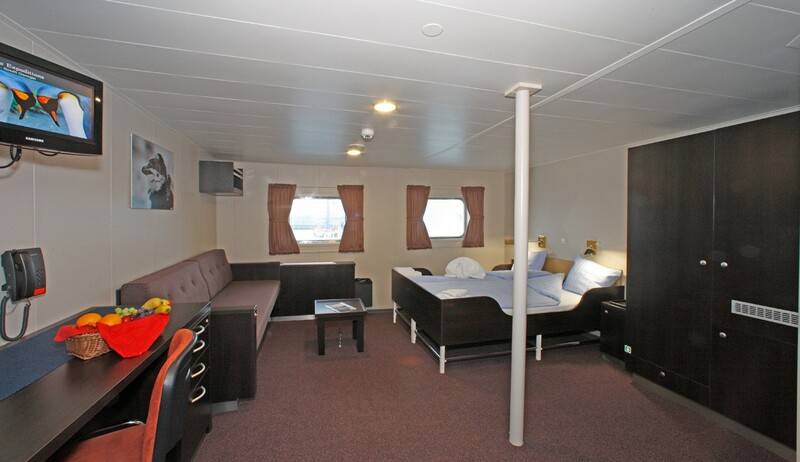 Transfer to Puerto Madryn, Three Nights at Territorio Hotel, Puerto Madryn, bed & breakfast Standard Room. Spend time exploring the Valdes Peninsula and Puerto Madryn area. Full day tour of the Peninsula included. 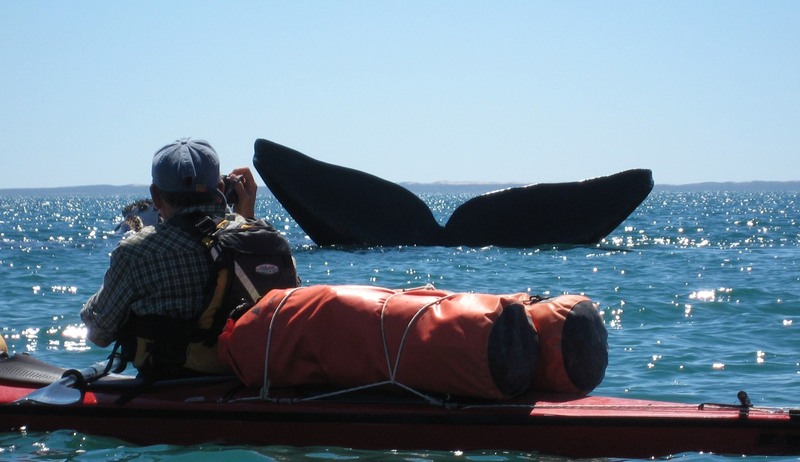 Opportunity to take a boat trip out to the bay of Puerto Piramides where, depending on the time of year, southern right whales come to feed from July/August to December. Penguins nest between September and March and orca are around during the same period; they are particularly active in April. Birds, dolphins, sea lions and elephant seals can be seen all year round. Full day tour to see the large Magellenic penguin colony at Punta Tombo and the old Welsh settlement of Gaiman where you can sample a typical Welsh afternoon tea. After breakfast, transfer to Trelew for flight to Ushuaia. Arrive in Ushuaia, capital of Tierra del Fuego and transfer to hotel. Two Nights at Albatross Hotel Ushuaia, Bed & breakfast Standard Room. After breakfast, picked up for a full day tour the Lapataia National Park, followed by a catamaran cruise along the Beagle Channel spotting seals and sealions plus seabirds such as petrels and shags. Try succulent Fuegan lamb cooked on an open grill for dinner. After breakfast, explore Ushuaia before boarding your MV Ortelius Antarctic expedition ship in the afternoon. 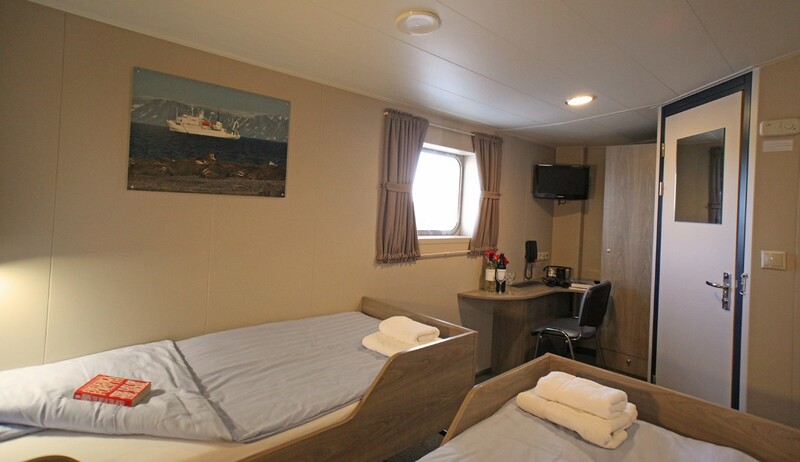 Depart and set sail down the Beagle Channel looking for sea birds following the ship. A full brief and important safety lifeboat drill expertly given by the crew. 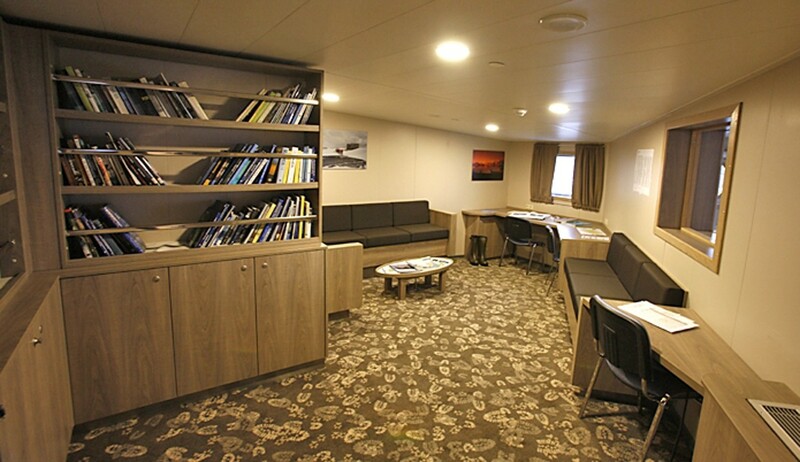 Cross the Drake Passage and the Antarctic Convergence. Spend time on deck watching wandering, grey-headed, black-browed and light-mantled sooty albatrosses along with various petrels and fulmars. The programme within the South Shetlands and the Peninsula area is flexible and depends ice, sea and weather conditions. 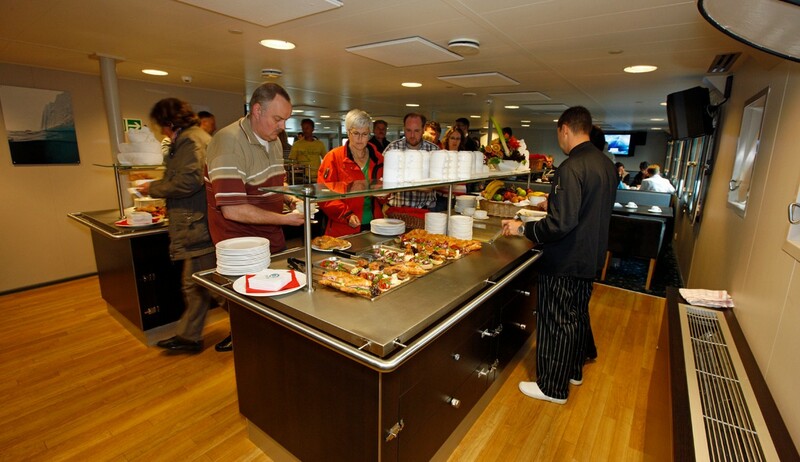 Plan to visit Cuverville Island, Neko Harbour, Port Lockroy, Paradise Bay and sail the spectacular Lemaire Channel. Lots of penguin, skua and shag colonies and many other birds plus several species of seals and whales. 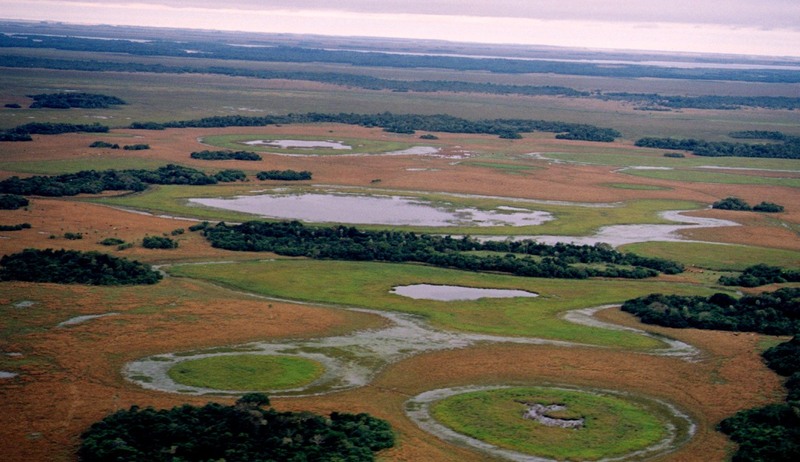 Also different national scientific research stations. On our way north we are again followed by albatrosses, petrels and other seabirds whilst crossing the Drake Passage. Being the only hotel to occupy a privileged location right inside the Iguazú National Park this expansive resort features an impressive Seda Pool & Spa, a tennis court and beautiful bedrooms. 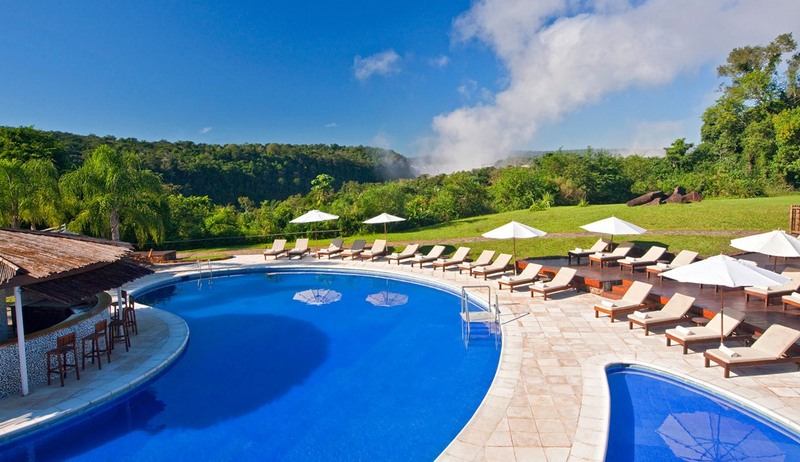 Located on the Argentinean side of the Iguazu falls this elegant hotel is superbly situated to enjoy the true wonder of one of the world's most spectacular natural creations. Spend a thrilling day at the falls and return to the hotel for some delicious international cuisine, a dip in the beautiful swimming pool and a great night's sleep in one of the hotel's 168 stylishly decorated bedrooms. Then awaken refreshed in the morning to the sound of the falls crashing in the distance as you step out on to your private balcony and take it all in. 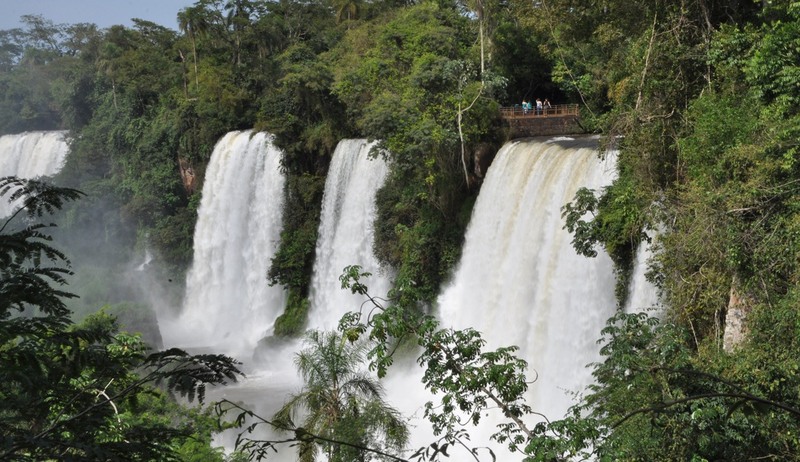 At the Sheraton Iguazu Resort & Spa without doubt the main attraction is of course the beautiful falls which extend over 2,700 meters and have over 260 waterfalls reaching up to 70 metres high. As well as the falls, however, there are a number of other sightseeing opportunities you will not want to miss. 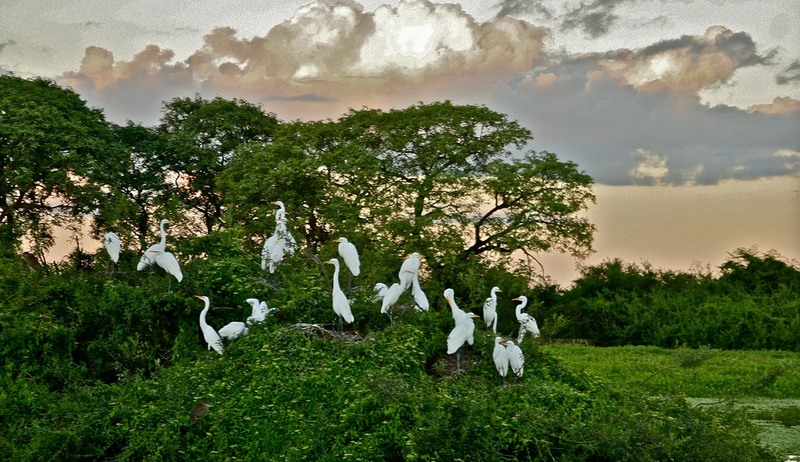 The city itself is filled with history and culture and adventure activities include horseback riding in the forest, flora and fauna sightseeing, Zodiac boat rides along the river, visits to Guaraní settlements and bird watching tours. 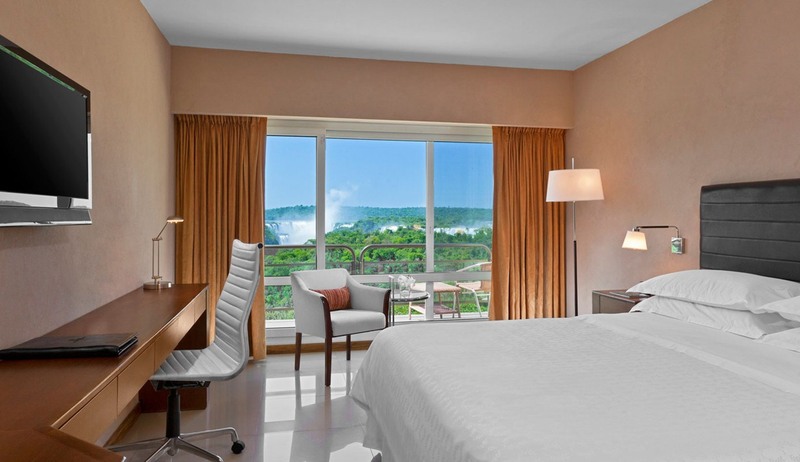 Each of the 168 bedrooms at Sheraton Iguazu Resort & Spa have been recently updated and feature large en-suite bathrooms, air-conditioning and private balconies. 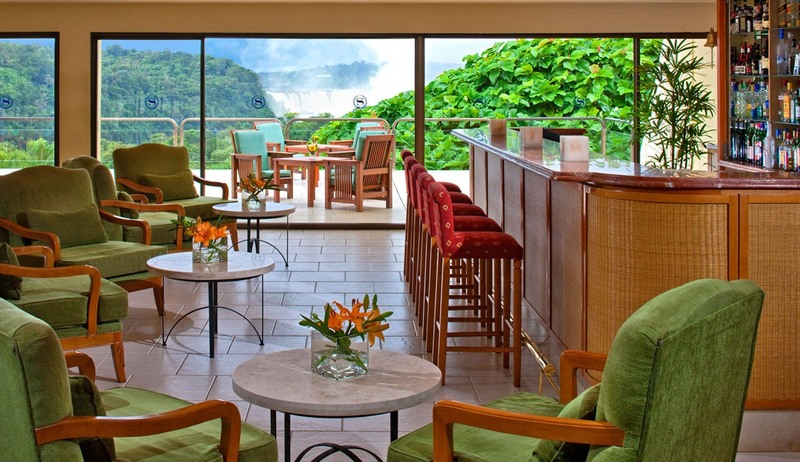 There are also 8 luxurious suites which offer superb views of the falls. Something you definitely should not miss on a trip here is dinner in the on-site Garganta del Diablo restaurant where the views are just as spectacular as the meals! Finish it off with a cocktail and an Argentinean pastry in the welcoming Lobby bar overlooking the falls. Located less than 300 metres from Ushuaia Harbour this stylish hotel is situated perfectly for exploring the world's southernmost city. Located in Argentina’s Tierra del Fuego archipelago Ushuaia is the starting point for many Antarctica cruises but is also a fantastic resort in its own right. Whether you are visiting the Albatross Hotel as a stopover on your adventures or wanting to explore Ushuaia itself you will be delighted to find all you will need at this simple but elegant hotel. 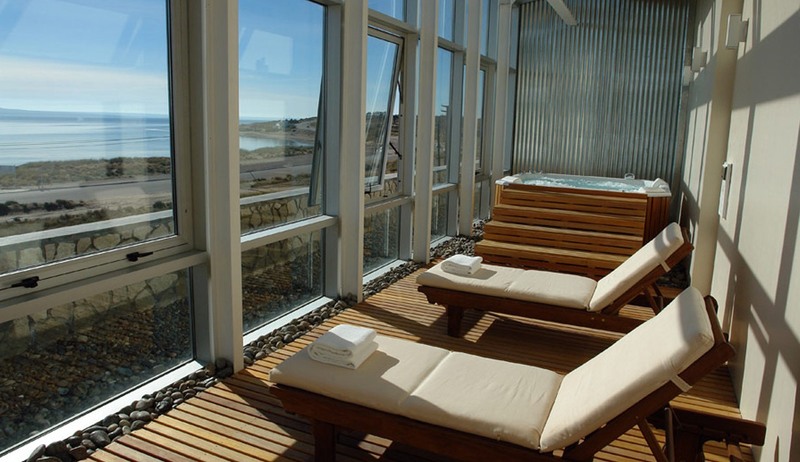 Pamper yourself in the spa, enjoy a delicious meal in the restaurant or relax in your stylish bedroom after a day of exploring the mountains of Tierra Del Fuego or the city's museums. 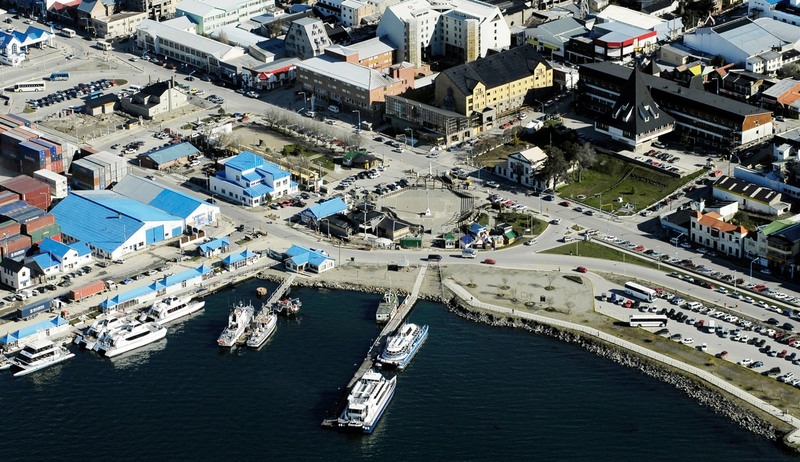 Albatross Hotel is within walking distance of 25 de Mayo Square, Ushuaia Port, Yamana Museum and the Maritime museum and the friendly and welcoming staff at the hotel will be more than happy to help you plan excursions and visits to the city's most popular attractions. 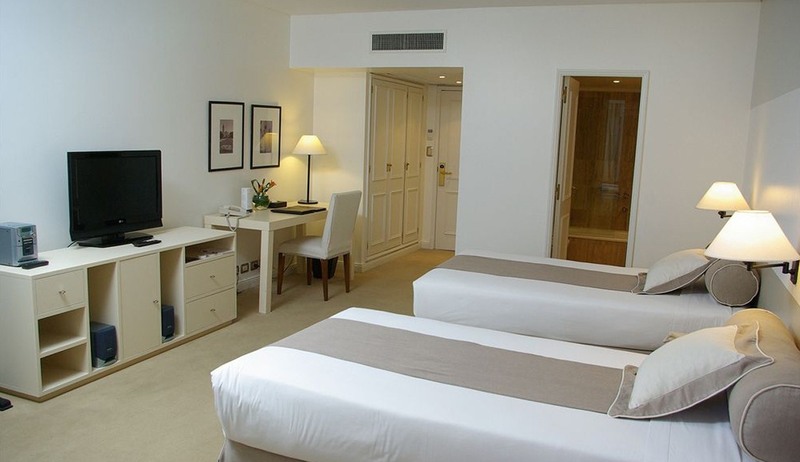 The hotel itself features 78 comfortable and stylishly decorated bedrooms which all have en-suite bathrooms, internet connectivity, minibars, cable TV and classic furnishings. 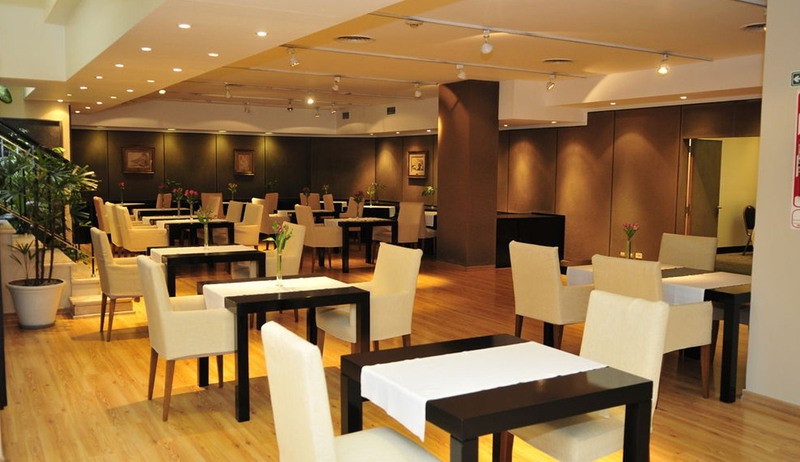 There is also an indulgent spa, a gymnasium, a lovely restaurant serving a wide range of international dishes and a welcoming bar and lounge area. 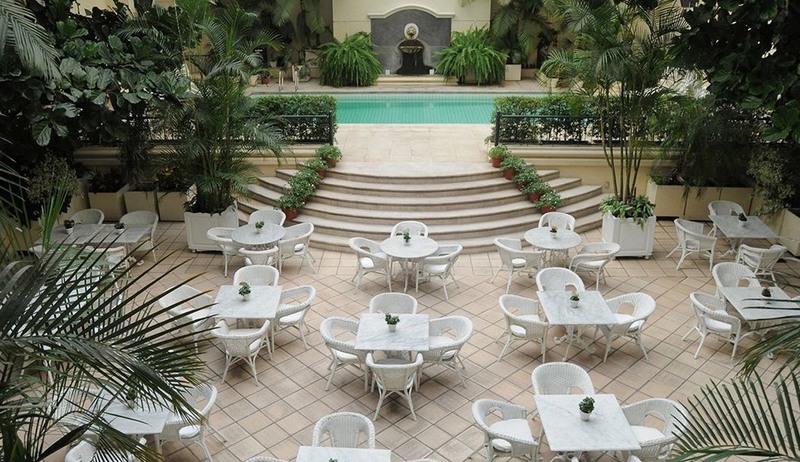 Located in the heart of the exclusive Recoleta district, a charming neighbourhood filled with magnificent mansions and historic buildings, this stylish and elegant hotel provides a peaceful suburb stay yet offers easy access to the bustling Buenos Aires city centre. 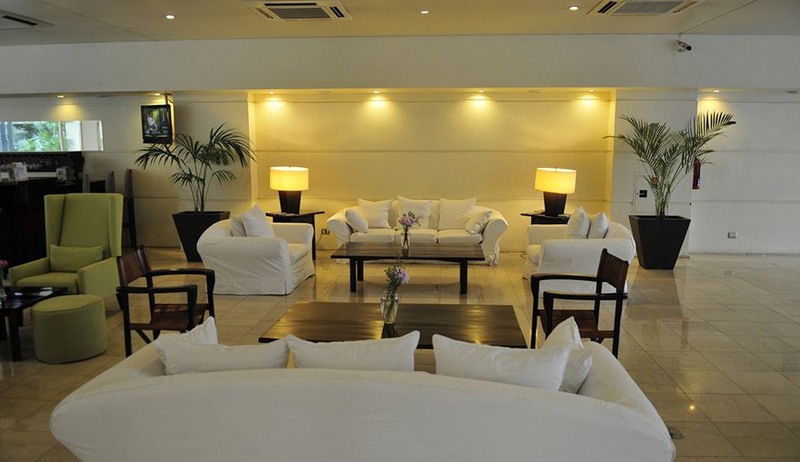 Overlooking the waters of Rio de la Plata and situated a short distance from shops, restaurants and cultural attractions the hotel is a perfect base from which to explore the exciting Argentinean capital. 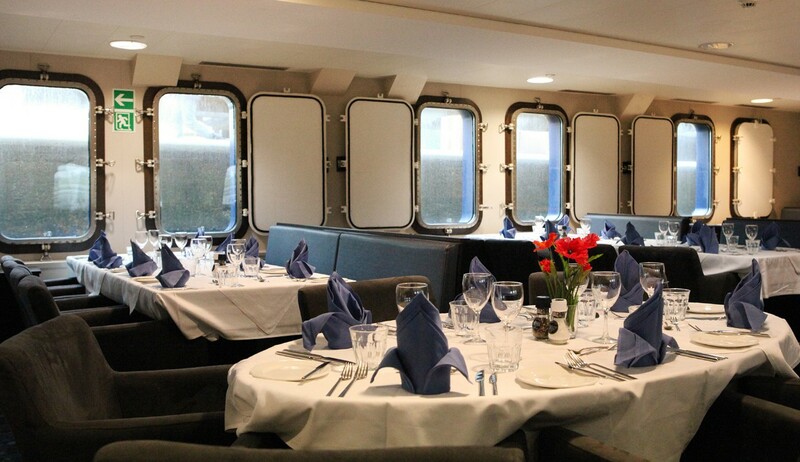 Lavish guest rooms, a large indoor swimming pool and a fantastic restaurant with stylish cocktail bar ensure that guests will have all they need and more as they return from a day of exploring this fascinating area. At LOI Suites Recoleta there are a number of different room options available but guests can be guaranteed that whichever option they choose they will find a luxurious and elegantly decorated room in which to relax after a long day of sightseeing. All rooms have beautiful en-suite bathrooms, views over the hotel's delightful courtyard, free WiFi, sumptuous queen-size beds and mini-bars. 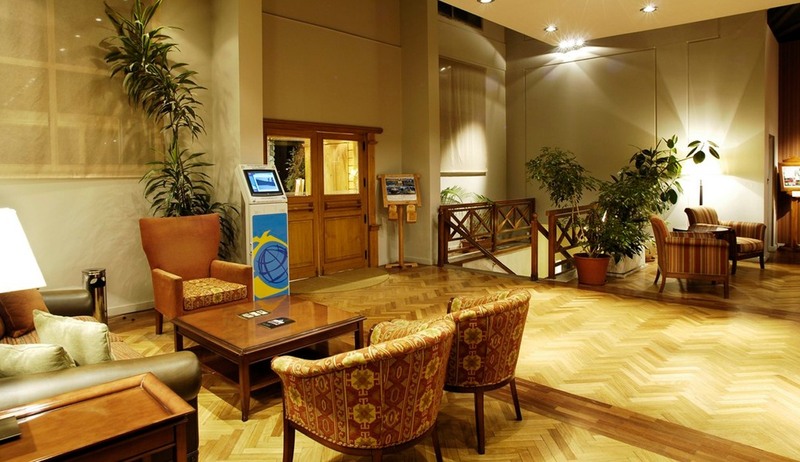 This upmarket hotel also boasts a large indoor swimming pool area with a café, fitness centre, jacuzzi, and sauna facilities and a wonderful restaurant where guests can enjoy delicious gourmet cuisine before finishing off the evening with a cocktail in the sophisticated bar and lounge area. LOI Suites Recoleta's friendly and knowledgeable staff are always on hand to offer advice on the best places to visit and the must-see sights in this wonderful city. 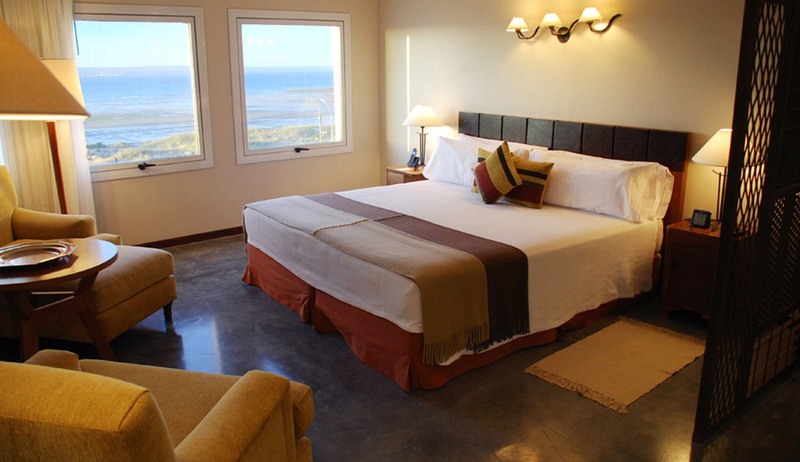 This lovely hotel in Punta Cuevas in the wildlife rich Puerto Madryn area offers modern accommodation, fantastic service and tremendous views of the mysterious Patagonian Sea. 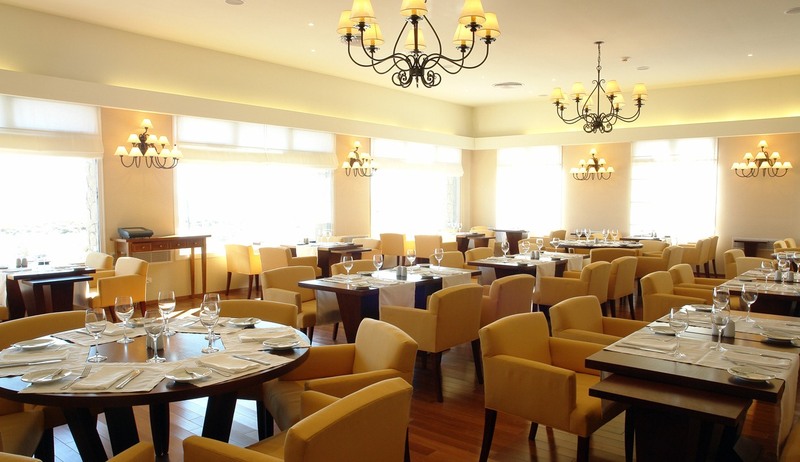 Located just over 1 mile from Puerto Madryn's city centre this excellent coastal hotel provides a tranquil stop for travellers exploring this wonderful area. Featuring modern design, comfortable furnishings and a bright airy space that makes the most of the sea views you will find everything you need here including well-equipped bedrooms, comfortable lounges and an indulgent spa. As you traverse along the coast looking for penguins, orcas and seals you can return to the comfort of your beautifully decorated and spacious bedroom for a great night's sleep in preparation for your next day of adventure. Hotel Territorio, or as the locals call it "Casa Atlantico", provides luxurious accommodation in a range of bedrooms and suites which all feature large comfortable beds, en-suite bathrooms, air-conditioning and mini-bars. 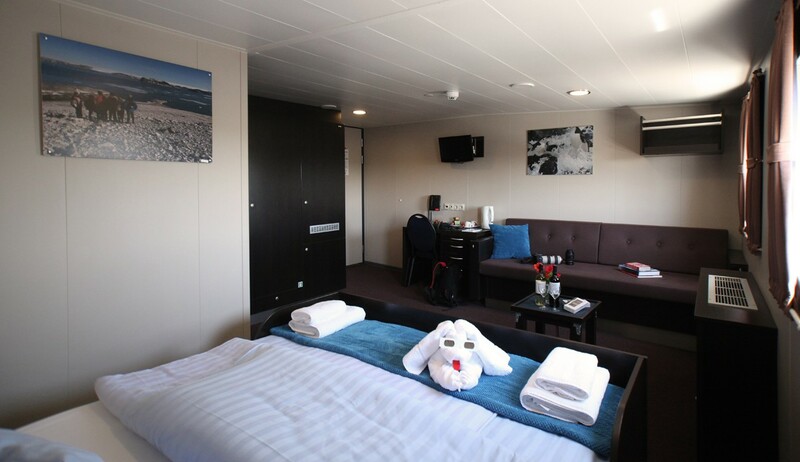 Larger suites also have their own living area and the majority of rooms have stunning sea views that bring a calm and tranquil feel to any stay here. As well as a beautiful lounge, breakfast room and bar where you can enjoy a glass of wine from the hotel's large collection of Argentinean wines as you look out over the sea, the hotel also features a spa where guests can indulge in a range of treatments and make use of the sauna and jacuzzi. There is also a fitness suite and a well-stocked library.